"The Friends of Holland Park exists to save the countryside! (A twist which might surprise someone who thought it was an urban park-tout court). There's bees where honeysuckle grows, foxes, rabbits, robins, crows, tadpoles in the early spring-come autumn there's blackberrying. There's the spring art exhibition by our members who will make you very welcome at the Private View, and carols in the winter too. But Holland Park's extremely small-fifty acres all in all-and very vulnerable to short-sighted pressures. Join us and help support, improve, defend this precious jewel. " 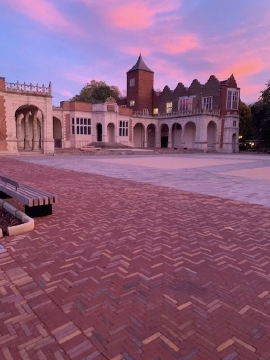 The Friends of Holland Park is a local community group and registered charity dedicated to the preservation, protection and improvement of Holland Park as a place of historic and ecological interest and beauty. Located between Kensington High Street and Holland Park Avenue the park is served by the Central, District and Circle Lines, and is close to Olympia and Earls Court. The 22 hectare (55 acre) park, owned by The Royal Borough of Kensington and Chelsea, offers sports facilities, playing fields, children’s play and adventure areas, dog walking, an Ecology Centre, formal gardens and woodland walks, the Japanese Kyoto Garden, art exhibitions, rooms for hire, a restaurant and cafeteria, and a youth hostel. It hosts the annual summer season of Opera Holland Park. The remains of Holland House, bombed in the last war, is a conserved listed building, having been the home of the Earls of Holland and then Ilchester. 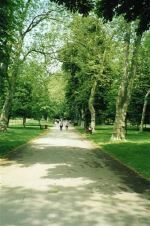 The park is within the Holland Park Conservation Area and is an Area of Metropolitan Importance.